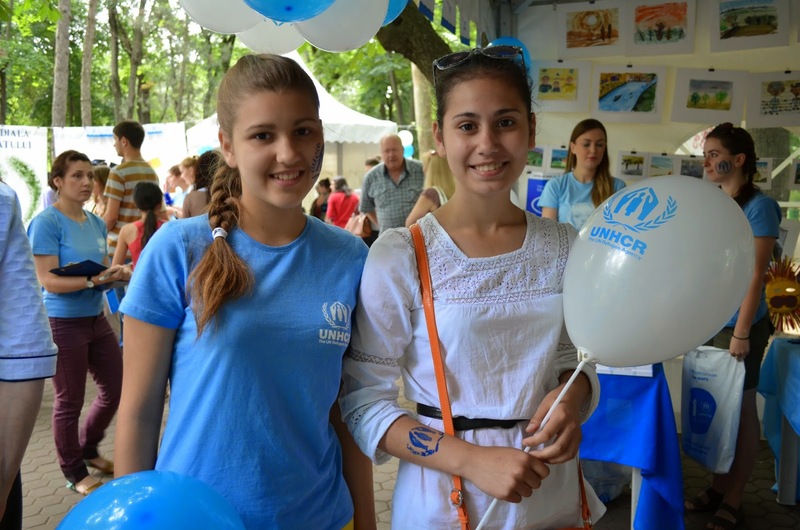 Every year on 20th of June, more than one hundred countries commemorate World Refugee Day. 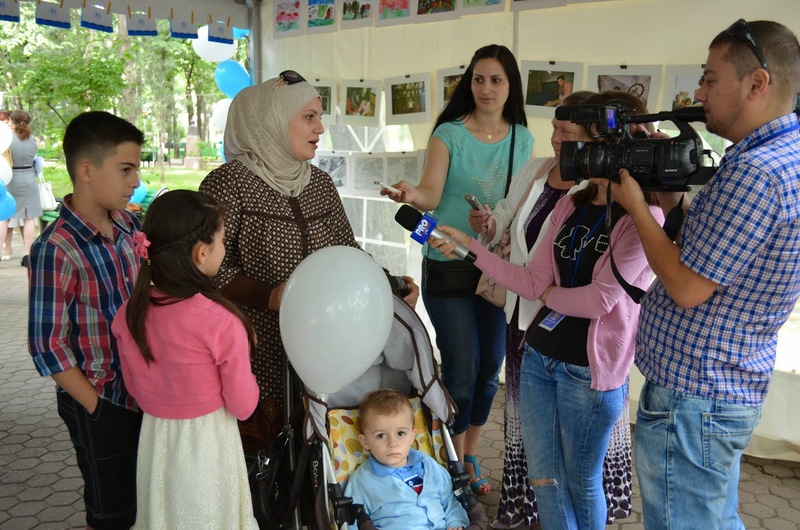 Thousands of people around the world take time to commiserate with forcibly displaced person, who fled across the border and were torn apart from their families. 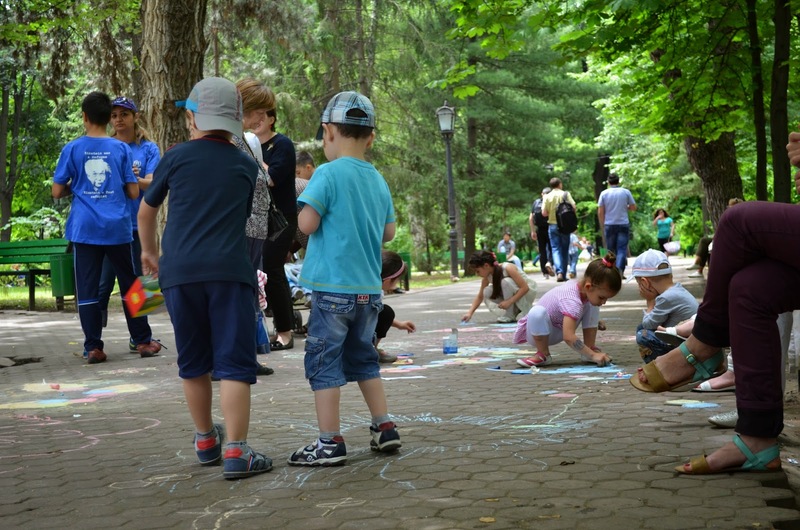 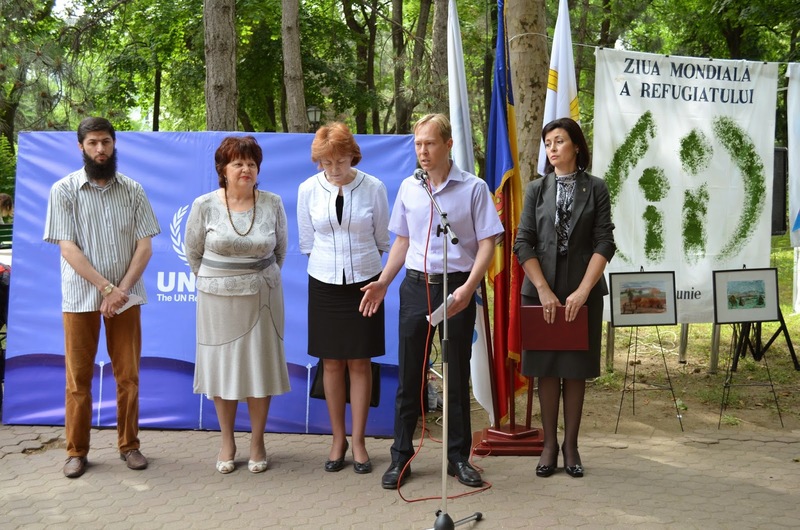 In the Republic of Moldova, this important Day has been commemorated since 2001, when Moldovaacceded to the 1951 Convention relating to the Status of Refugees and assumed the commitment to protect people, who were forced to leave their homes. 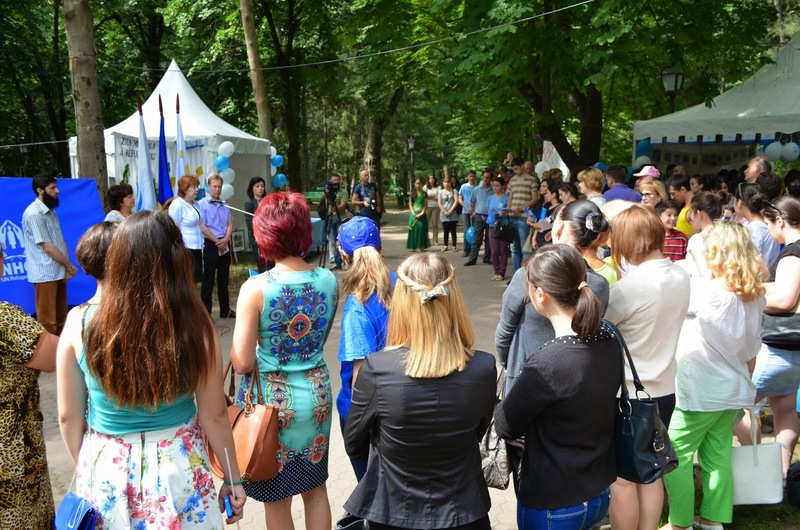 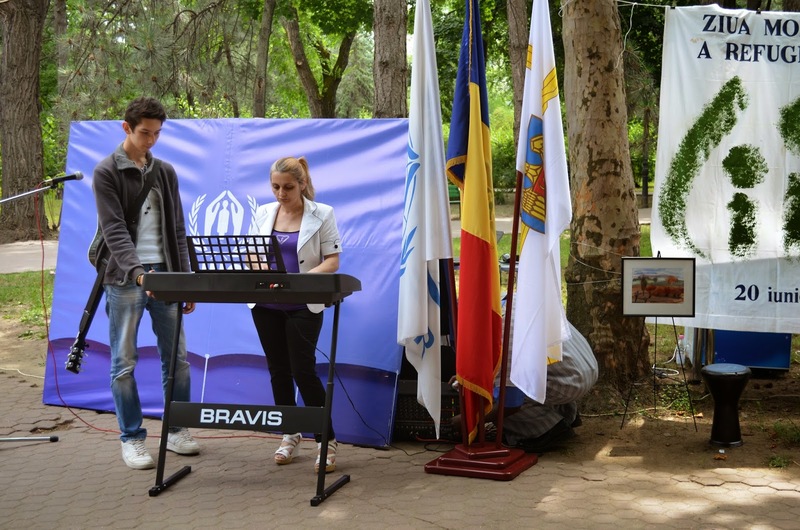 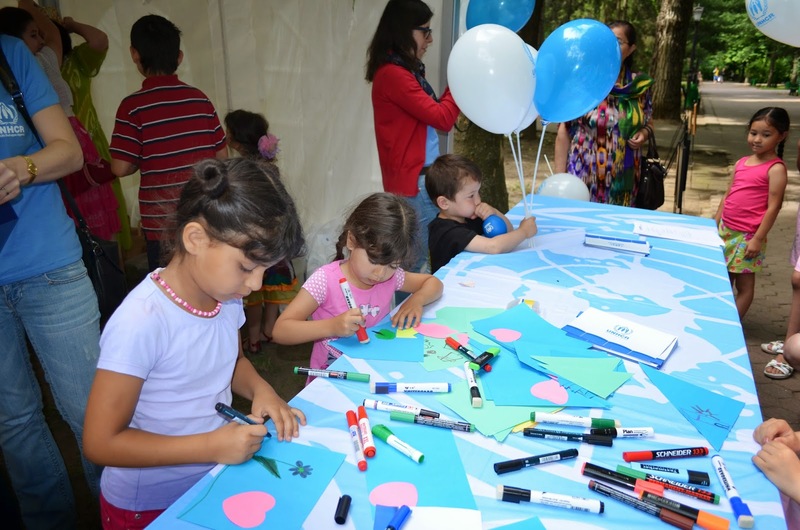 On this occasion, UNHCR Moldova and its NGO implementing partners, together with the Bureau for Migration and Asylum put all their efforts to arrange a memorable day for PoCs and raise awareness about the growing number of refugees in Moldova and all over the world. 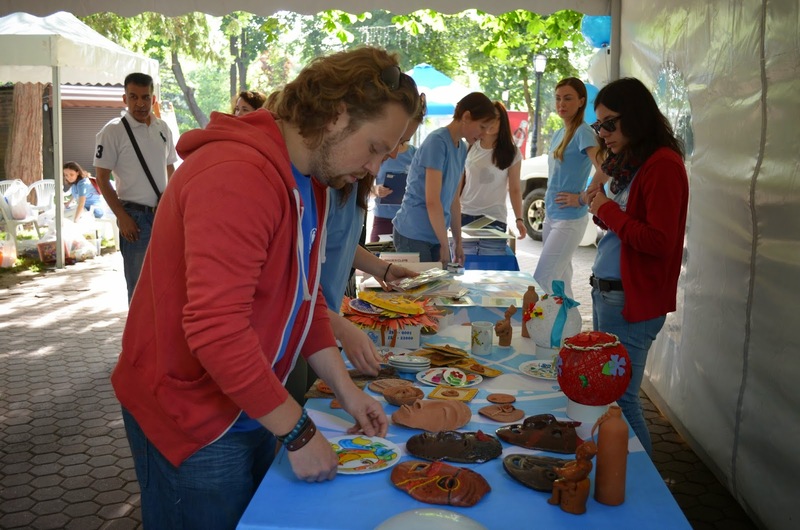 food: Uzbek pilaf and dessert ‘ChakChak’, Syrian round shaped cakes with meat ‘kebe’ and dessert ‘akras bi ajwe’, Shaorma etc. 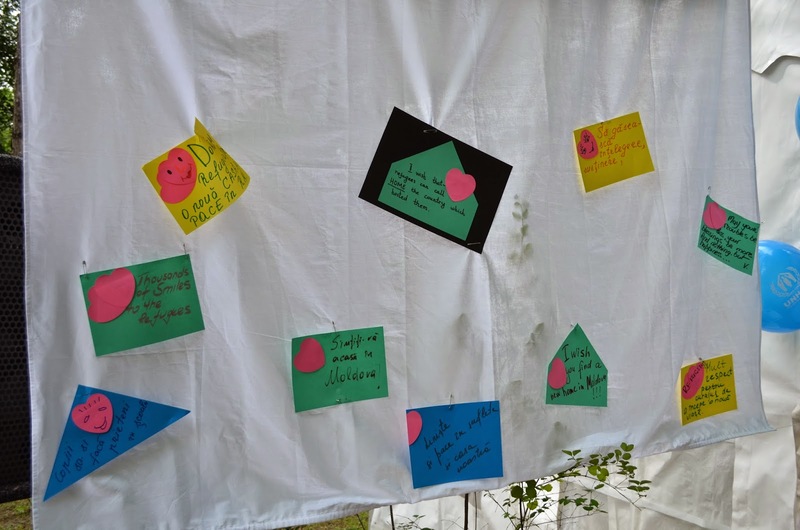 The dishes were prepared by refugees themselves. 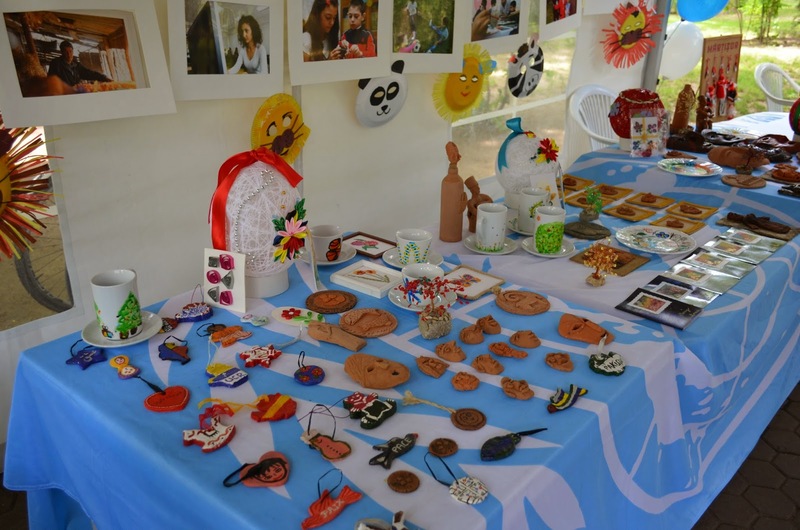 The Charity Centre for Refugees (CCR) with refugee/asylum seeker community exposed handicrafts, ceramic artworks and watercolour crayon paintings of refugee children, portraying their individual stories, feelings and emotions. 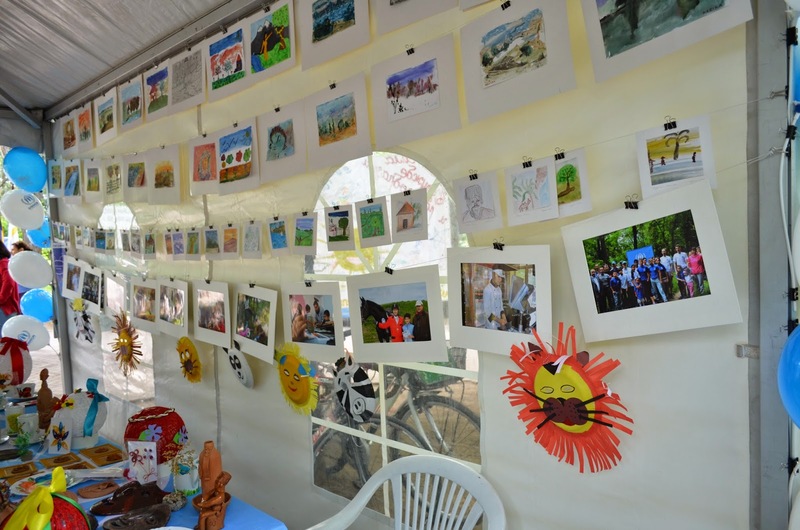 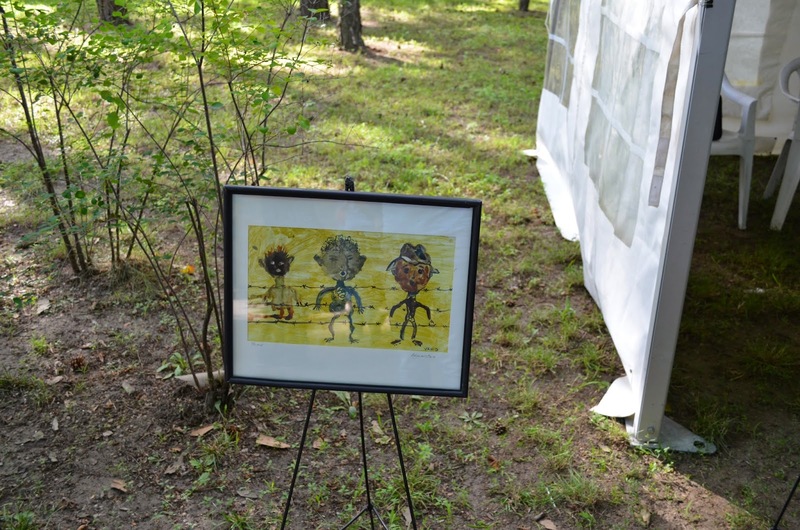 Thus, every guest was able to collect information on the variety of art works. 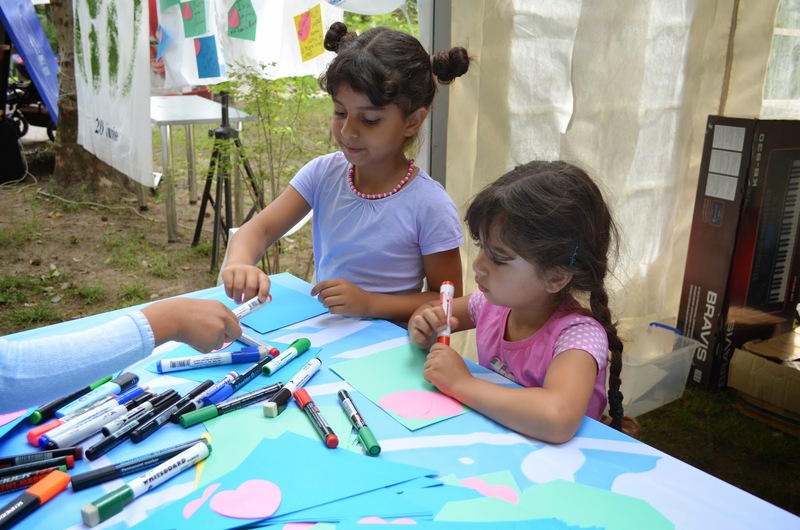 Moreover, CCR presented to the wide public the poster made by local and refugee/asylum seeker children at the Galata gymnasium. 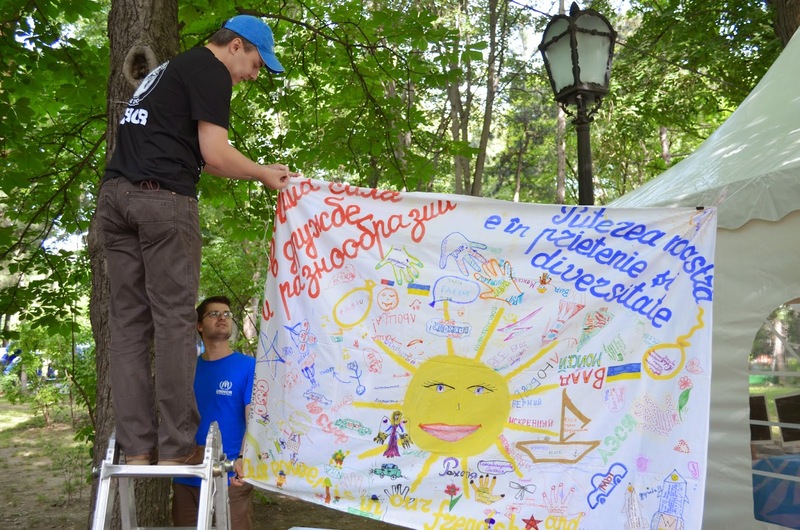 This work revealed colourful paintings carrying a very important message: ‘Our power is in friendship and diversity’. 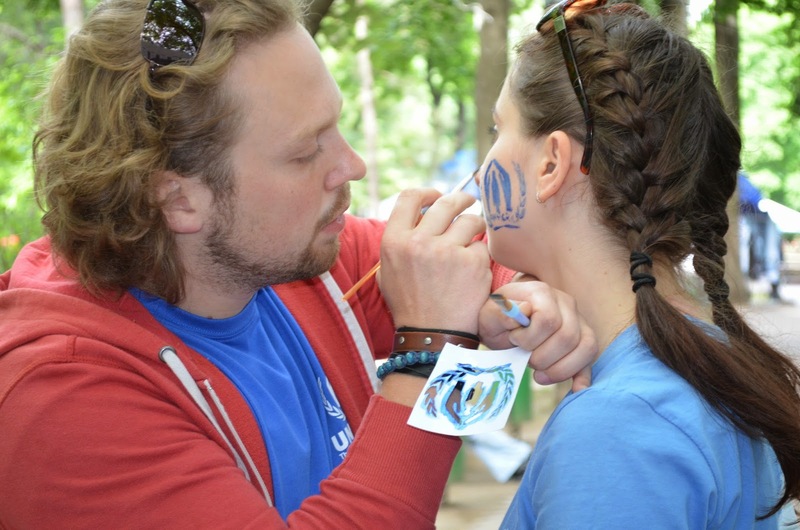 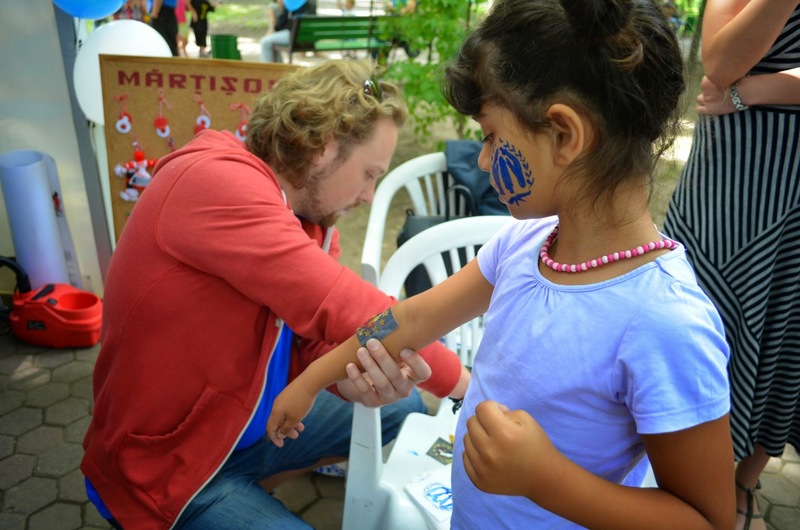 In addition, visitors could choose to have their names translated into Arabic and written in henna or to have UNHCR logo face-painted by European and local volunteers of CCR. 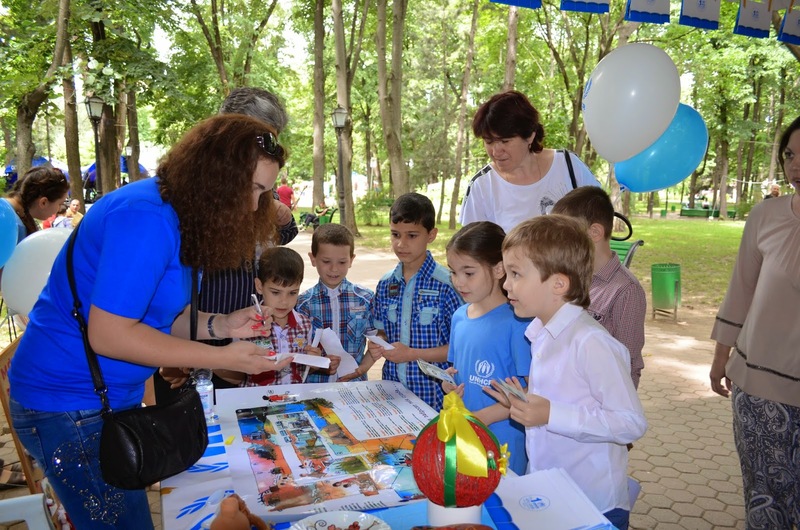 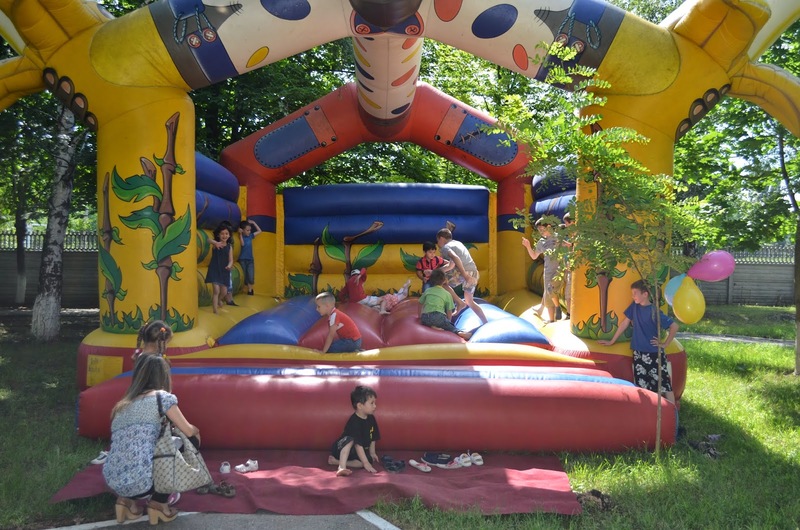 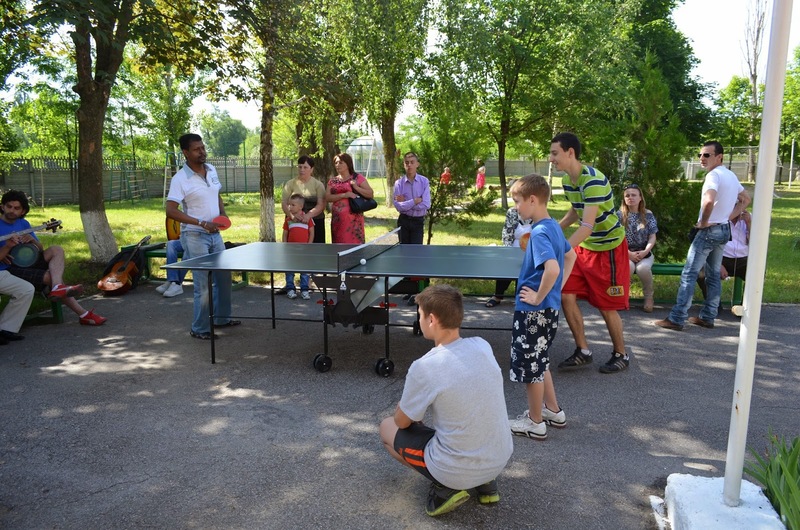 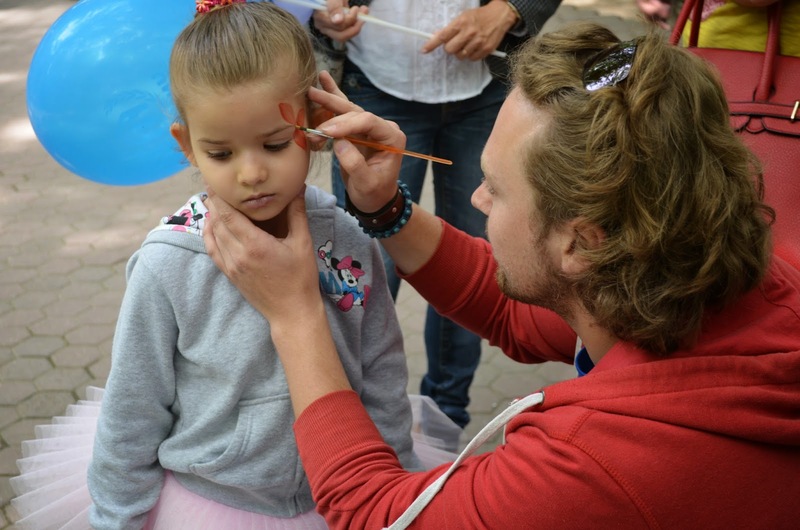 All these activities were very successful and welcomed, especially amongst children. 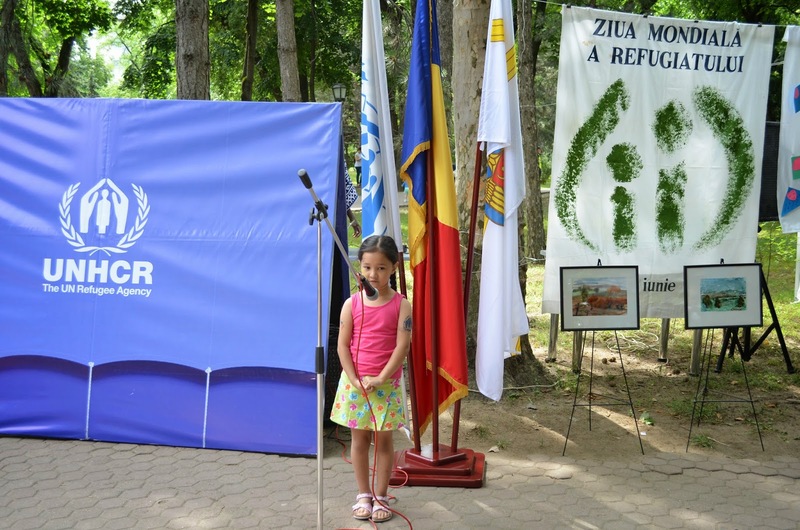 Entertainment of the day included refugee children dancing, reciting poetry and singing songs in Romanian, Russian and English. 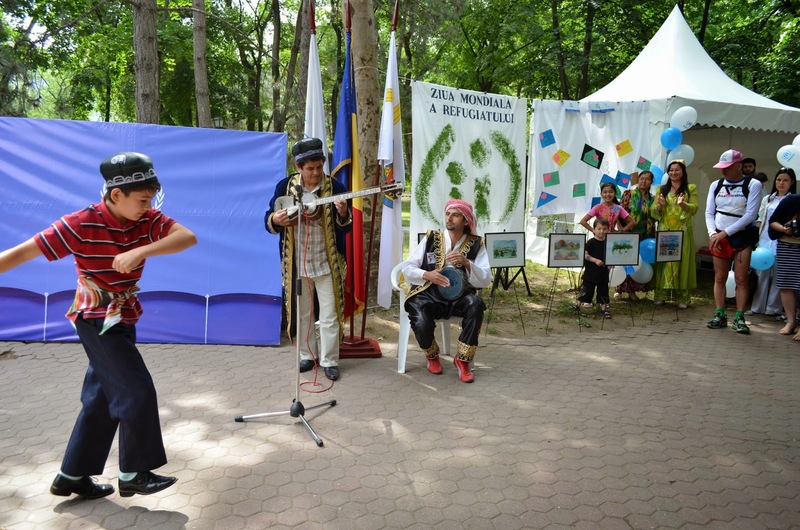 After this, a traditional musical and dance performance by band of musicians and dancers from the Syrian, Uzbek, Iraqi and Indian refugee community followed. 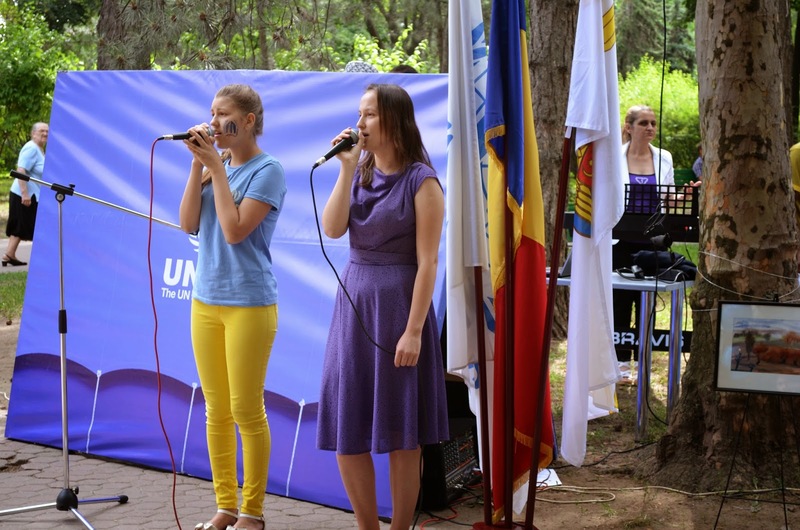 The crowd was encouraged to dance along and enjoy the music. 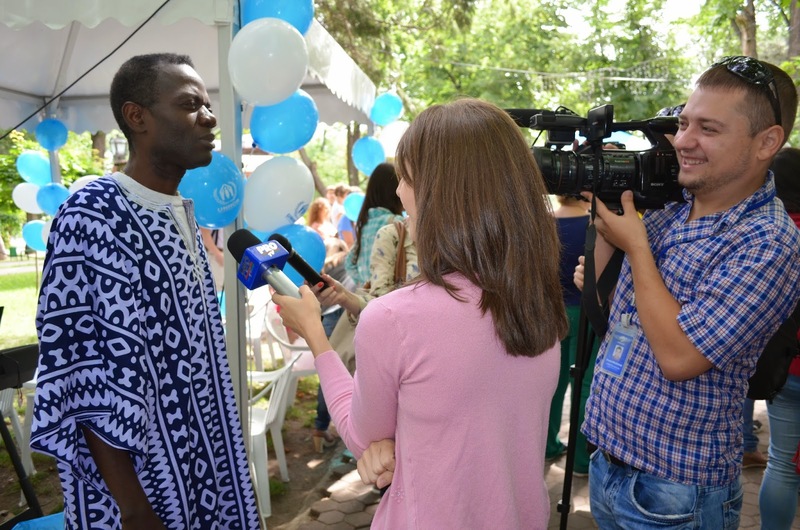 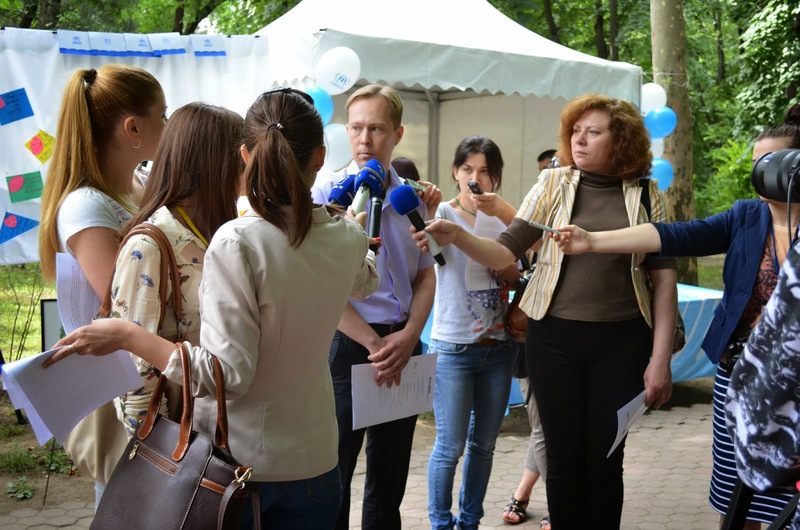 The event drew a large crowd of numerous journalists, organizations, national authorities, refugees/asylum seekers and people willing to be acquainted with the UNHCR work and the needs, problems and difficulties of its persons of concern. 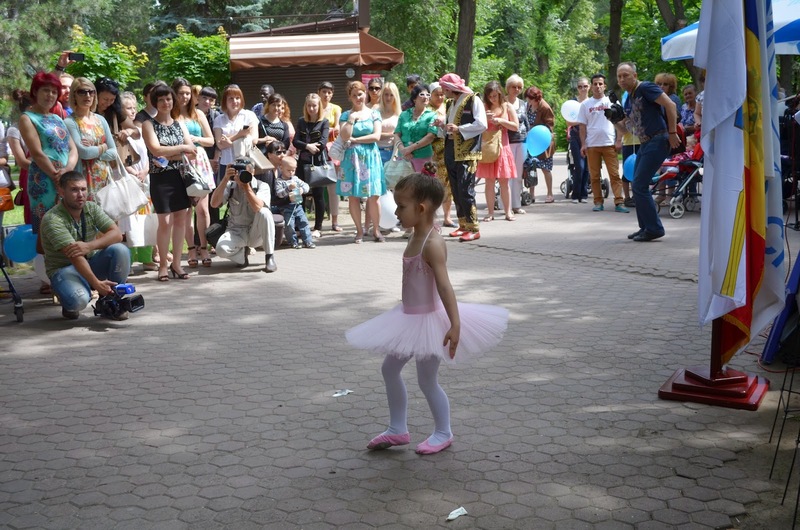 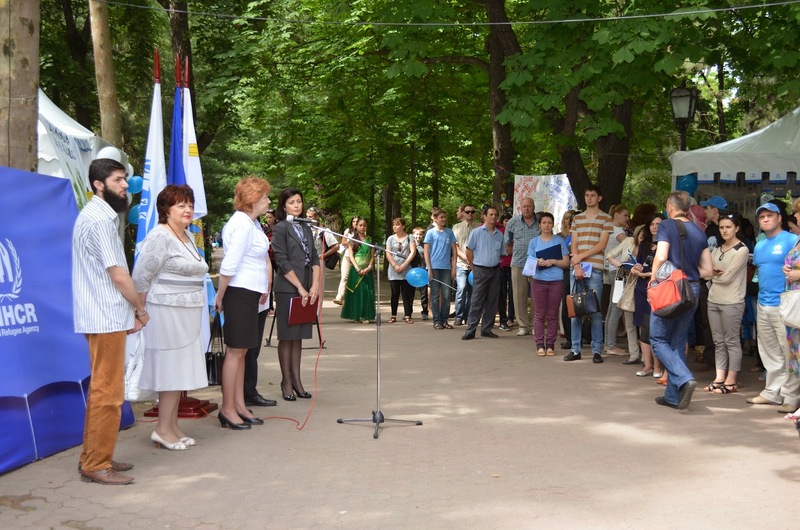 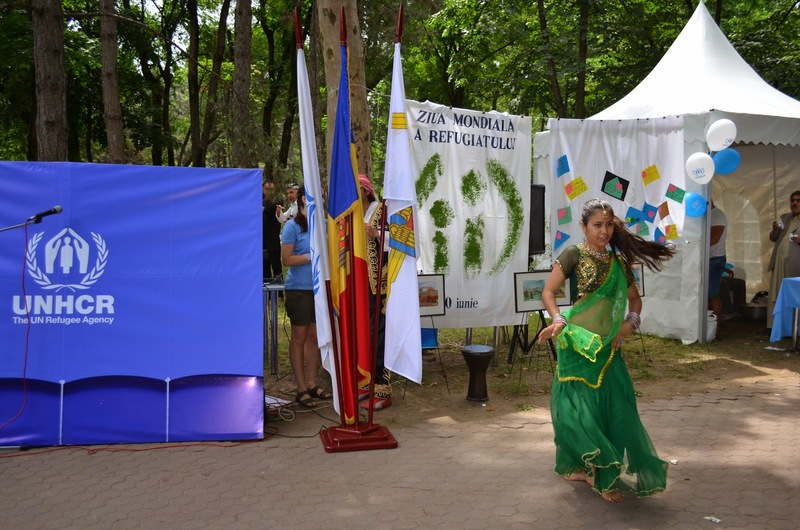 Besides that, an important support was given by the Moldova Super Marathon Association, which organised a marathon of 42 kilometres through Chisinau dedicated to the refugee community and World Refugee Day in Moldova. 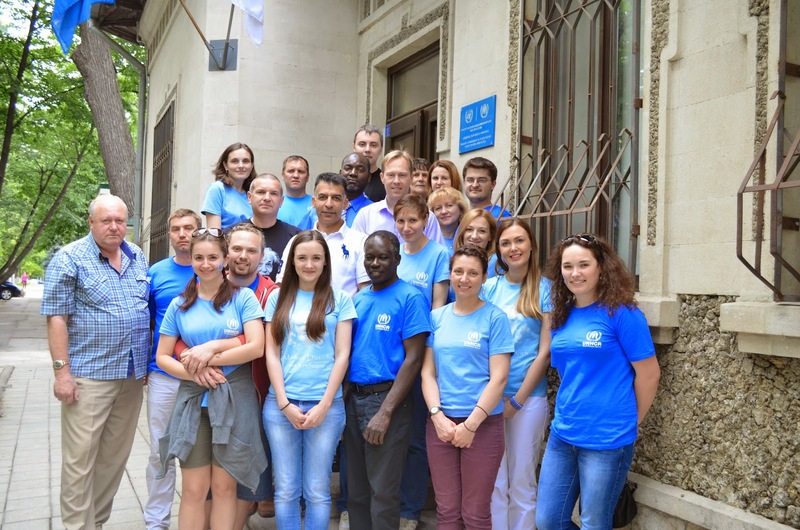 CCR team and its volunteers appreciate the possibility for joining UNHCR Moldova team, participating and being actively involved in all the activities undertaken by its supporting organisation on this day. 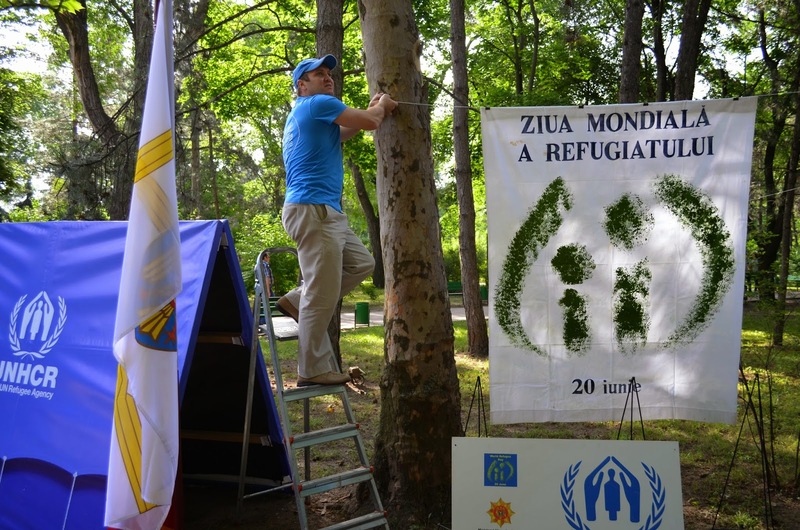 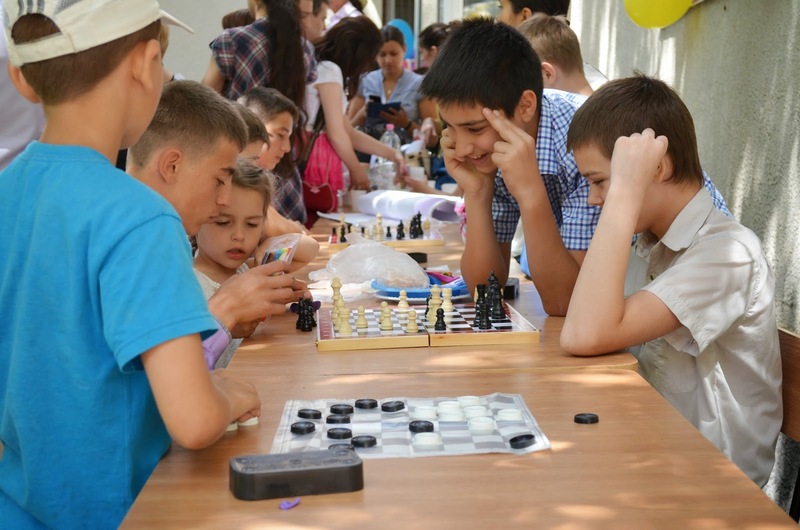 It was a great chance to contribute to the refugee community by raising awareness about the people, who lost their homes and found protection in the Republic of Moldova.